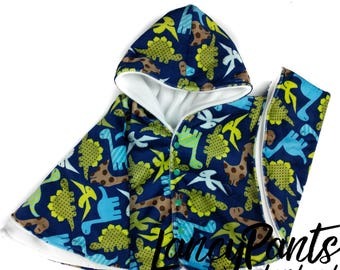 This car seat poncho will allow your child to stay warm and safe this winter. 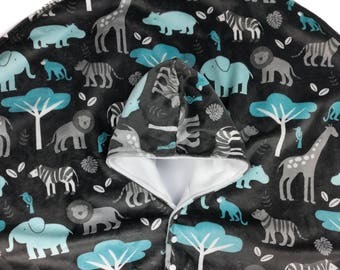 Can easily be taken on and off over the head, but also has coordinating snaps for added detail as well as a different option for taking off or adjusting temperature of the child. 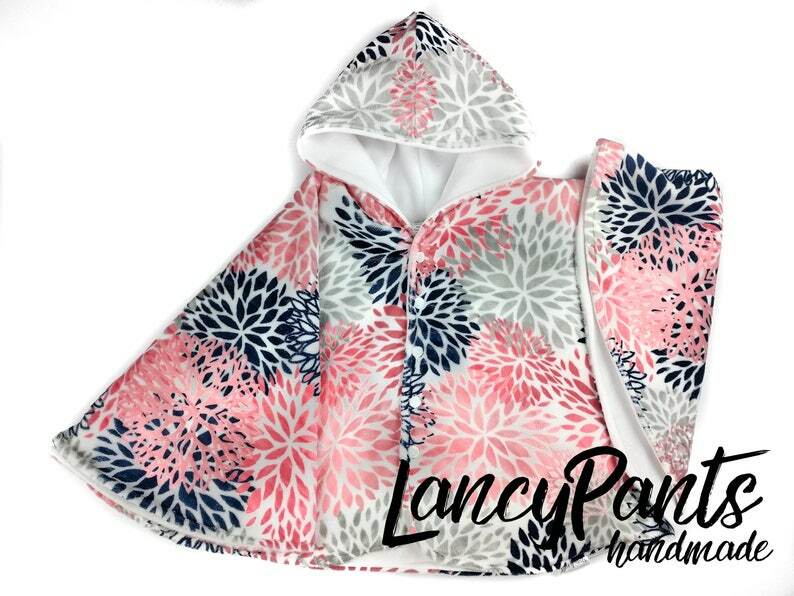 Made with cozy color coordinating (seller choice) fleece inside, and luxurious minky outside. Unlike some other car seat ponchos you may see, these ponchos are made so they're the perfect length in the front to allow children to run and play in them, but still provide arm coverage for warmth. That's why we include arm length in sizing, so you can choose something that will fit perfect! Having a poncho that only works in the car leaves you needing to buy a separate jacket for playing; ours are the best of both to help save you money. Print placement may vary, and snap color may be different (but still coordinating, of course) depending on what is in stock. Actual color may vary based on your screen display. Please choose size based on the second image which is the size chart. The shipping calculator is an estimate, and sometimes it's a bit higher than actual cost. 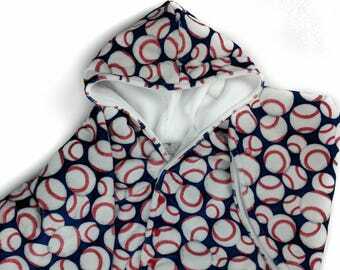 Any shipping overages above $1 are refunded. I LOVE custom orders! Send me a message if you're wanting something in a different size or have a dream of something unique.